This map of the Eagle Valley Trail shows both the completed and the yet-to-be constructed segements of the 63-mile route. The areas where the trail hasn't yet been built are outlined in blue. 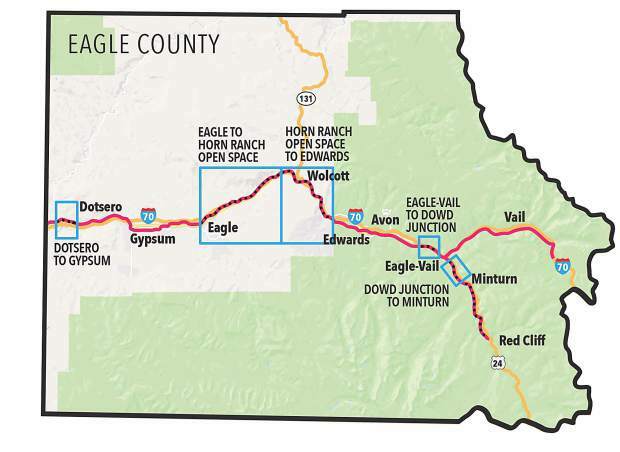 EAGLE — It’s been years in the making, but the proposed 63-mile Eagle Valley Trail is just 19.5 miles from its goal of spanning the county from Vail Pass to Glenwood Canyon. What’s more, by summer’s end, the trail will stretch an additional 3.5 miles through the Eagle to Horn Ranch segment. Earlier this week, ECO Trails Manager Kevin Sharkey offered an update about the Eagle Valley Trail for the Eagle County commissioners. Sharkey noted that 44 miles of the trail are completed with the new 3.5-mile stretch east of Eagle slated for construction in 2018. That leaves an additional 16 miles of trail yet to be built at an estimated cost of $16 million. Twelve miles of trail are in the design phase, while four miles are part of the Wolcott planned unit development. ECO Trails was successful on the grant front for the Eagle to Horn Ranch segment. 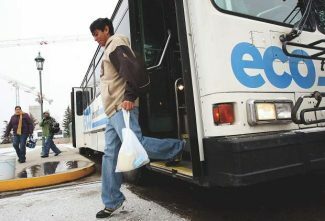 The estimated cost for that part of the trail is $7 million, and Eagle County received a $2 million grant from Great Outdoors Colorado to help foot the bill. Additionally, the town of Eagle chipped in $200,000 toward the trail construction. Sharkey noted that the segment under construction is part of the biggest missing link for the valley trail and said completing the 6.5-mile segment is a significant accomplishment. Crews will return to complete work on the Horn Ranch segment this summer, and Sharkey said there have been several design changes that would improve maintenance needs and reduce overall costs for the project. In particular, he cited work on the Horn Ranch Bridge. The bridge construction isn’t included in the current segment’s scope, and the trail will dead end at the location where the bridge will be built. “Our project team is adding the north bridge abutment to the scope of this project, because it is best to build the bridge abutment before paving the trail. Otherwise, when it comes time to build the Horn Ranch Bridge, the heavy construction equipment would damage the trail,” Sharkey said. Additionally, Sharkey said the bridge itself has been redesigned. Originally, the plan called for two spans with a bridge pier located in the middle of the Eagle River. “Fortunately, landowners David and Sue Mott support the project and will allow the bridge to clip their property corner. 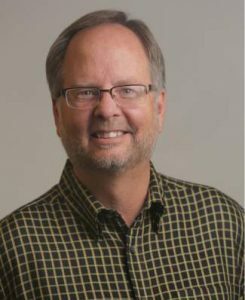 As a result, our redesigned bridge crosses the river with single span, which reduced the bridge cost significantly, and rafters will not have to worry about a bridge pier in the middle of the river,” Sharkey said. The redesign is estimated to knock $1 million off the cost of the Horn Ranch Bridge. 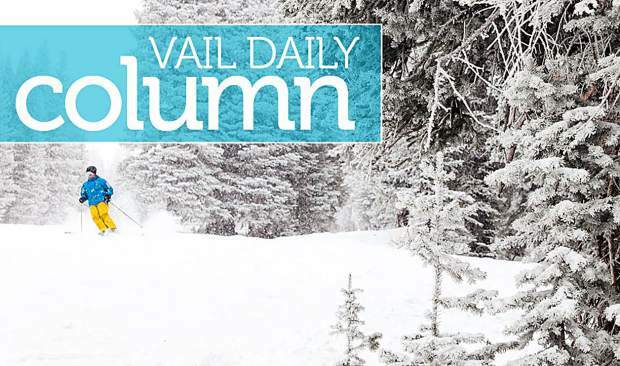 Sharkey noted that the Eagle Valley Trail has a prominent proponent — Colorado Gov. John Hickenlooper. But completing the trail isn’t a simple task. “It’s only 14 miles left, but it’s the most difficult 14 miles,” Commissioner Jill Ryan said. While each of these segments presents unique challenges, Sharkey noted many of them also feature partnership opportunities. The Wolcott section, for example, could be included as a condition of a development proposal. The Narrows Bridge segment may be folded into a water and sewer main replacement project that the Eagle River Water & Sanitation District is contemplating. As the county looks at the Eagle-Vail section, the Colorado Department of Transportation is planning a highway overlay for 2022. As part of that work, the county will lobby for designated bike lanes being marked out during the overlay. While it has taken years to get this far on the Eagle Valley Trail, Sharkey said the project continues to garner strong support within the county’s trails committee and in the community at large. “People are really passionate about this. They really want to see it accelerated,” he said. Those “people” include the county commissioners.